The World Zionist Organization holds a special aliyah fair for French tourists wishing to move to Israel. 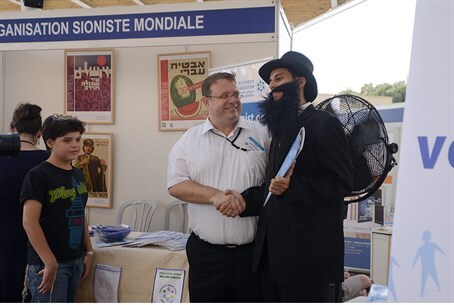 For the third consecutive year, the World Zionist Organization, in cooperation with the city of Netanya, held on Sunday a special fair encouraging aliyah (immigration) from France to Israel in general and particularly to Netanya, which has attracted a large number of olim from France in recent years. The fair concluded with a musical tribute to the French Jewish community. The fair was held at the new Independence Square in Netanya, which is the first interactive square in Israel offering multi-sensory content. The fair allows tourists from France who are considering making aliyah to receive updated information on a variety of aliyah-related programs and tools. Since the beginning of 2014, there has been an increase of 350% in the number of Jews who want to come to Israel from France. The total number of olim from France is expected to stand at about 5,000 people by the end of the year.